Paul wrote about having a thorn in his flesh and asking the Lord to remove it in 2 Corinthians 12 and God’s response was that his grace was sufficient for him. There has been much speculation regarding what the thorn in Paul’s flesh was, but I won’t get into that in this post. My focus is on God’s grace being sufficient. Anyone living with a chronic illness understands what it is like to want a cure, to be healed. Thankfully with modern medicine chronic conditions can be managed or helped somewhat, but not cured. There is no cure for many chronic illnesses. I know what it is like to live with pain and being grateful for the days with less pain. I know what it is like to live with fatigue the kind that; as wonderful as it is. coffee does not take away. Pressing on is not easy but so worth it. By pressing on with Jesus, we experience so many joys along the way such as seeing lives change, seeing people come to know Jesus, seeing God at work. Pressing on while living with a chronic illness and depending on God for daily, sometimes hourly, strength is something I respect in others due to experiencing it myself. Friedreich’s Ataxia which causes her to need a wheelchair. However, she presses on to serve Jesus. Her name is Lily. You can read about her story in strength is not always literal. Her blog is retrospectivelily.com. As my theme song for this week after Easter, Because He Lives, says, “Because he lives I can face tomorrow” Anyone living with a chronic illness who lives to serve Jesus like Lily does has a perspective that will encourage us to press on. I love these lyrics from Because He Lives. Jesus lives and because he defeated death, we can know he is always with us. Because he lives, we can face tomorrow. We can face the problems of life knowing he is with us. “And if the Spirit of him who raised Jesus from the dead is living in you, he who raised Christ from the dead will also give life to your mortal bodies because of his Spirit who lives in you”. God can and will empower us to overcome. He will give us life. For some it can mean healing. For some it can mean his grace is sufficient for us as we press on in the face of difficulties such as chronic illness, depression, anxiety, family problems, past abuse, addiction or any other difficulty. I have experienced his grace sustaining me as I live with chronic health issues. God has helped me to overcome the effects of growing up in a home with an alcoholic father and a mother with mental health issues. God sustains me as I deal with the daily effects of depression due to chronic illness. Because Jesus lives, I can face those things knowing that Jesus is always with me and has all power to help me and in the end of my earthly journey, he has a place waiting for me in heaven. This week my post will highlight other bloggers who have overcome or are being sustained by God’s grace because Jesus lives. I love Vickie Winans recording of Because He Lives. I hope it blesses you today as it has me. Easter is my favorite holiday because of why we celebrate Easter. Jesus is alive and seated on his throne in heaven. Because he defeated death for us, we have hope in any situation. My favorite thing on Easter Sunday is worshiping at church. I love songs that celebrate Jesus being risen from the dead. An old classic song about the resurrection of Jesus is by 2nd Chapter of Acts-The Easter Song. I wanted to share that with you. Ever since the death and resurrection of Jesus, there have been numerous forces that have tried to stop the message about Jesus from going forth. One such force was communism in Eastern Europe. I traveled to Romania seven times and heard their stories of life under communism, so I am well aware of the brutalities committed against Christians under communism. In 2011 in Budapest Hungary, a former communist country, a church organized an Easter celebration dance in a public square. The first time I watched the video, I thought about how the older people who joined in would remember when they did not have the freedom to do so. I want to share the video with you. What are your favorite Easter songs? How do you celebrate? I have been reflecting on the things Jesus said while he was dying on the cross. He showed care and concern for his mother, Mary, by giving her to the care of John his follower. In that culture and time, Mary would have depended on Jesus as her eldest son for her welfare. He told a thief dying in a cross next to him that the thief would be with him in Paradise after the thief professed faith in Jesus. One of the things Jesus said really grabs me. It shows his heart for all people even the worst of us, even the ones who tortured him, conspired against him, mocked him. Even while dying an agonizing death on a cross, Jesus interceded for those who harmed him with God our Father. 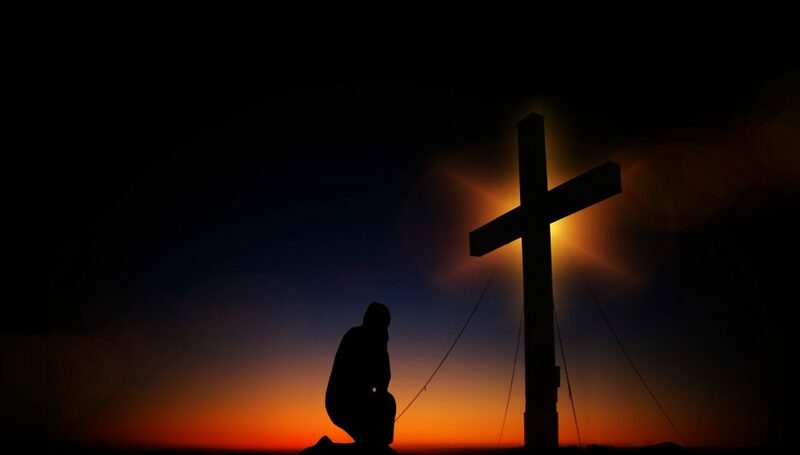 If Jesus could ask the Father to forgive the soldiers who nailed him to the cross, what could we possibly do that would cause Jesus to not want to ask the Father to forgive us? Think of your worst sin, failure, mistake. whatever and compare it to nailing Jesus to the cross. The love of Jesus for us is so deep and so strong that no matter what we have done or will do, we can never be separated from his love. That is what we remember today as we remember Jesus dying for us. Who or What Put Jesus on the Cross? A question I like to ask when I teach about Jesus is, who or what put Jesus on the cross? The Thursday before Jesus was crucified sheds some light on the answer. Before Jesus was put though a rigged trial as part of the conspiracy of the religious leaders, soldiers came to arrest him.Jesus knew what was going to happen, but he went out to the soldiers anyway and asked who they were looking for. We can see the drama unfold in John 18. “Jesus of Nazareth,” they replied. When Jesus told them he was the one they were looking for, he manifested his power by knocking them to the ground. He then permitted them to arrest him. Jesus died for our sins but he had no obligation to do so. God has no obligation to do anything for us. The fallen angels rebelled against God too and there is no provision for them to be forgiven. So who or what put Jesus on the cross? ” Greater love has no one than this: to lay down one’s life for one’s friends”. It was Jesus’s love for us that put him on the cross. It was his love for us that caused him to endure the torture before he was nailed to the cross. It was his love for us that caused him to let the Roman soldiers nail him to the cross. It was his love for us that kept him on the cross to the point of dying for us. It was also his love for us that motivated him to take on death and defeat it for us. A Goodbye Dinner for Jesus? There have been many times that I have said goodbye to people over a meal or coffee. Some have been humorous like the time I bought my group of young Vietnamese friends ice cream to say goodbye to a 14 year old member of our group. She got mint ice cream with gummy bears mixed in. Some have been poignant like saying goodbye to close friends who were international students before they moved back to their home country. Goodbyes can be wonderful experiences mixed with happiness and sadness. Happy to celebrate friendship and sad to say goodbye. When it is time to say goodbye, we want to express what is on our hearts. It is time to say important things, so we don’t leave anything unsaid. Before Jesus was arrested and crucified, he spent time with his closest followers to say goodbye. They shared the Seder meal to commemorate the Jewish Passover. The Seder is a meal for Jewish people to remember God delivering them from the oppression of slavery in Egypt. During the Seder meal, the cup of wine represents the blood of the lambs that was smeared on the door post and windows, so the angel of death would pass over that house sparing the first born sons. By doing so, he let his closest followers know that his blood shed on the cross would be the basis for a new covenant. He wants us to remember his sacrifice for us. He wants us to remember his suffering for us. Jesus was eager to share this last Passover with his closest followers. It was a part of the saying goodbye for now process. Jesus spent time with his closest followers before he was executed on the cross. He had his “Last Supper’ with those closest to him just like we would if we could. I will never forget the day he was diagnosed. I received a call asking me to come to the hospital. I went up to his room. His friends from Korea left the room, so my friend and I could talk. The first thing he shared with me was his concern for his wife, two children, and his third baby that he and his wife were expecting. Up to the day before he died, he expressed his concern to me about the well being of his wife and three children. I was with him when he died. His wife, two of his little girls, myself, and several of his friends were there singing to Jesus and praying. Shortly before he died and while he was comatose, I leaned down and whispered in his ear that I would help his wife and children. He smiled. It was his last earthly smile. Before people die. they think about their loved ones. Plans are made. Good parents do as much as they can to help their children prepare for the inevitable death of the parent. Jesus knew where he came from and where he was going to. Jesus knew how wonderful heaven is because he came from heaven. He shared with his followers that if he goes, he will come back, so they could be with him where he is. Jesus is preparing a place for all who believe in him. That is the reason he came and died for us, so we could be with him in heaven. I read a post by a blogger I follow about how blessed she felt to listen to someone sing a worship song in Spanish. Dawn’s blog is drawingclosertochrist.com and her post was God’s Love Speaks Through Every Language. Her post got me to thinking about the various languages I have had the privilege of worshiping with starting in Romania in both Romanian and Turkish, in France in French, in Mexico in Spanish, in Brazil in Portuguese, and in my home city in Arabic, Karen, Spanish, Ukranian, Zomi, Korean, Chinese, Nuer, and Vietnamese.These experiences have broadened my understanding of how God’s love and kingdom spans across all cultures. This Easter week, I am reflecting on the meaning of that passage. Jesus scorned the shame of the cross but he endured it because of the joy set before him. Yes, that includes being at the right hand of God the Father in heaven, but he came from there. The other part of that joy was having his most cherished creation, US, being able to be with him in heaven because of his death on the cross and his resurrection. The joy he would experience from having people from all cultures expressing their love for him. I wanted to share this video of Kari Jobe’s Revelation song with you. She does not enter it until the end. I hope you watch it as singers from multiple languages sing praises to Jesus expressing their love. It is a glimpse of the worship we can experience in heaven one day as people from every language stand before Jesus on his throne. I hope this video blesses you as much as it blessed me. Riding in on a white colt, Jesus heard the shouts and praises of “Hosanna to the Son of David” as people were excitedly welcoming Jesus by throwing palm leaves and even their cloaks on the road before Jesus. And why not? News had spread of his miracles especially his recent one of bringing Lazarus back from the dead. The people had been waiting for their Messiah, promised one, for a long time. But Jesus knew what was about to happen in a few short days. He knew that the crowds would turn against him and cry out give us Barabas and of Jesus, crucify him. Jesus knew what was in their hearts, what is in our hearts, but he rode in to what he knew lay ahead- His Suffering for us. He knew he would be arrested, be put through a rigged trial, be beaten and tortured, and be crucified. Jesus comes to us throughout our lives. He stands at the door and knocks and anyone who opens the door, he will enter. He comes to us knowing what is in our hearts. Knowing we will fail him, stumble along, sin, mess up, but he comes to us anyway. Why? Why did Jesus ride into Jerusalem knowing they would crucify him in a few shorts days? Why does he come to me each day and say,”It is a new day” and why does he come to all of us? Jesus gave the answer days before his crucifixion when he taught his disciples in John 15, ‘greater love has no one than this, to lay down his life for his friends.’ Jesus rode in knowing all that would happen, he comes to us in our lives knowing our weakness, because- HE LOVES US. The question is will we receive him and his love for us? I will never forget the day as a 12 year old boy when a dog attacked me while I was distributing flyers for my dad’s company with my older brother Mark. The dog was BIG and I wasn’t the biggest 12 year old- my growth spurt hit age 15- and the dog had clawed me on my side and I was bleeding. I was freaked out and started running with the dog chasing me, so I did the one thing I knew to do- SCREAM for my big brother. Mark came and chased the dog away and got me calmed down. He also taught me what to do if that ever happened again. He drove me home. I was taken to the ER but didn’t need stitches. Growing up in my dysfunctional family with an alcoholic father and mentally ill mother there was one person I could always count on. He was the one who taught me how to play sports, helped me with stuff for cub scouts/boy scouts, and the person I always felt safe around. My older brother Mark was a wonderful big brother growing up. I don’t remember us ever having a fight even when I would have deserved his wrath at times in my teen years. Having had a good big brother growing up made it so easy for me to appreciate having Jesus as my eternal big brother. Yes, the bible refers to Jesus as our brother for those who believe in him in Romans 8:29, “For those God foreknew he also predestined to be conformed to the image of his Son, that he might be the firstborn among many brothers and sisters.” Did you notice it says among brothers and sisters? Yes, Jesus wants little sisters not only little brothers. For my women readers, remember Jesus values you as his little sisters he wants to protect. As I think about what Jesus did and does for us; he died for us to save us from hell and to restore us to God and he defeated the ‘big dog’ chasing us-Satan, it is so easy for me to grasp the concept of Christ my eternal big brother. For that I am so thankful for my big brother I grew up with. Other concepts were a bit difficult such as viewing God as my heavenly father because, well, my father was a withdrawn alcoholic who drank his vodka and orange juice as we watched TV. But the concept of Jesus as my eternal big brother anchored me in my faith early on and gave me the grace and time I needed to embrace other aspects of God mostly God being my heavenly father. When I meet people, I try to meet them where they are at in life and not force an issue. If I meet someone who has had an abusive father, it seems best to me to wait a bit and be patient with them and not dive in and say something like, “Don’t worry, God is your father.” From my own experience it seems best to get to know the person before shoving something on them they may not be ready to process. But when the time is right, how joyous it is to share with them that God is their father. The church is the family of God and he is patient with us to heal us step by step. For some of us those steps come quicker than others. I try to allow people the grace they need to take things as slow or fast that is appropriate for them. The Holy Spirit is much more capable than I am to discern such things, so for me it is more of an issue of listening to the person while letting the Lord guide. So I hope this writing helps you in your little sister or little brother relationship with our eternal big brother Jesus. As you grow in your relationship with God, please remember that he understands you, he knows if you have past things that hurt you, and he is infinitely patient to bring healing at the pace that is best for you.